Riders experience the power of the Incredible Hulk as Dr. Bruce Banner's gamma-ray accelerator launches them on a high-speed roller coaster rampage. 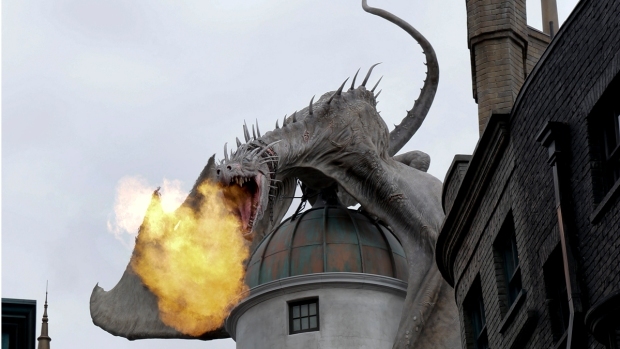 Another Orlando theme park is raisings its ticket prices. Less than a week after The Walt Disney Co. announced that prices were going up at its parks in California and Florida, the Orlando Sentinel reports that Universal Orlando is also raising its cost of admission. Spending a day at Universal will now carry a pre-tax cost of $102, up from $96. A child's ticket price has been raised from $90 to $97. One-day, park-to-park prices are rising from $136 to $147 for adults; children's tickets are going from $130 to $142. The cost of an annual pass is $189.99 for Florida residents. Universal Orlando is owned by NBCUniversal, the parent company of NBC 6 South Florida.